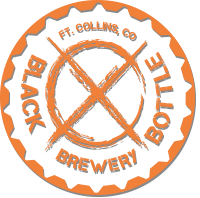 When it comes to brewing and serving craft beer in Fort Collins, there are few that nail it on the head the way we do. But sometimes, we get a few beers that we simply can’t resist and we see no reason not to share these delicious brews with the beer lovers that grace our brewery every day. Out of our love for beer and the respect that we have for other high-quality brewers, we add a few different tap beers to our list that don’t actually come from our fine brewery. This is the list of craft beers that we have available on tap here at Black Bottle. Most days, we’re able to update this list, as the rotations happen pretty quickly but sometimes we’re a little behind on getting it updated. For the most part, you can depend on this list being updated on a daily basis, so take a look below to see what it is that we’ve got for you today. Whether you’re looking to enjoy the craft beer from us, or you’re interested in trying something new from another brewery, you can enjoy the delicious flavors and variety of craft beer from right here at our pub. Match a tap beer on our list with one of the delicious items from our food menu, and you’re sure to have a combo of unrivaled flavors and pleasure. We offer tons of different beer options, giving you and your friends the ability to choose between whichever craft beers you want to enjoy from our tap. Want to know how to get in tight with the back of house staff here at Black Bottle Brewery? Buy the kitchen beers! If they weren’t interested in drinking delicious beer on a daily basis, they wouldn’t be here. Show them your love and appreciation for creating the delicious meals you enjoy by grabbing them a tasty beer for the end of their shift.